Best Credit Card Deals, Bonuses, & Promotions! Americans are good at spending money. Really good. With all the money that flows in and out of our households, it makes sense to try to capitalize on that. When we spend wisely or reward businesses with our purchase, shouldn’t we in turn be rewarded for doing business with them? Now more than ever, credit card companies are offering ways to do that with several cash back credit cards. “Bonus points”, “cash-back programs”, “spending incentives”, and “rebates” are just a few of the terms frequently tossed around by reward-savvy consumers in credit card circles. With so many different options, consumers may find themselves dizzy from the offers streaming across their laptops, televisions, and mobile devices. Thankfully, the only decision for consumers to make is which credit card to use. With that in mind, here’s a breakdown of the best cash back credit cards. Citi Dividend World MasterCard: A close second to the Chase Freedom Visa, the Citi Dividend World MasterCard is extremely appealing, and for good reason. It offers $200 cash back after spending $500 in the first 3 months of being a cardholder. No annual fee, 1% cash back on all purchases, and 5% cash back on various spending categories during different times of the year make this an excellent asset to have in your wallet. 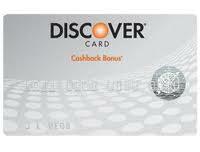 Discover More Card: Similar to the Chase Freedom card and the Citi Dividend World MasterCard, the Discover More card will give cardholders 5% cash back on select purchases throughout the year. Also similar to the Chase Freedom card and Citi Dividend card, this card has no annual fee and has a 0% introductory rate for the first 15 months. However, all purchases up to your first $3,000 spent will give you 0.25% cash back. After that $3,000 mark, you will receive 1% cash back. American Express Blue Cash Everyday Card: The Blue Cash Everyday card offers a higher percentage cash back for a couple different categories, including groceries (3% cash back), gas (2% cash back), and department stores (2% cash back) while offering the standard 1% cash back on all other purchases. This is a great card for those who spends a larger portion of their income in these areas, i.e. families. The Blue Cash Everyday card also offers a 0% introductory rate for 12 months and carries no annual fee. TrueEarnings Card from American Express and Costco: This card offers a great opportunity to earn maximum rewards for restaurants and gasoline purchases. The TrueEarnings card offers 3% cash back on gasoline purchases, 2% cash back on restaurant and travel purchases, and 1% cash back on all other purchases including Costco purchases. If you are already a Costco member, this card comes with no annual fee. PenFed Visa Platinum Cash Rewards Card: This card is exclusively for members of the Pentagon Federal Credit Union. Membership to the PFCU is only open to certain individuals, such as U.S. government employees, members of the U.S. Military, and American Red Cross employees. This card also offers a 4.99% APR for 2 years on transactions made before December 31, 2011, and no annual fee. For those who may spend a large amount of money on travel, this would be an excellent asset to have at your disposal. 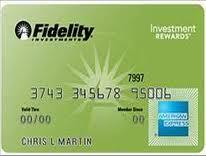 Fidelity Investment Rewards from American Express: This card offers a consistent 2% cash back on all purchases. There’s only one catch — in order to get this card, you must open a MySmartCash Fidelity brokerage account. There’s no annual fee attached to the card, so it’s an excellent option for those who may have used the Schwab Cash Back card in the past or who are already looking to open a new account at an investment brokerage. 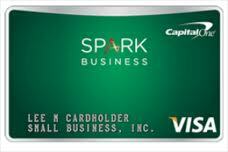 Capital One Spark Business Card: Capital One offers 2% cash back on all purchases made with this card, with no limits on the amount of money you can earn in a year. You can earn a $100 bonus when you spend $1,000 within the first 3 months and an additional $50 bonus when you sign up for an employee card in your first 60 days of card membership. No annual fee for the first year and no transfer fees also make this an appealing card. Citi Forward Card: This card from Citi technically isn’t a cash back card, but it offers a tremendous points ratio for the purchases you make, so it makes the list. The Forward card offers 5 points for every $1 you spend at restaurants, on books, movies, and music. Aside from those “money” categories, it offers 1 point for every $1 spent. You can also get up to 10,000 bonus points after spending $650 and signing up for e-statements in your first 3 months. All those points add up and eventually mean more money or “cash back”. There are several opportunities to earn cash back on the money you spend. With some of these credit cards at your disposal, you can maximize your return on that money and put more money back in your own pocket! And that’s something that will really have you seeing green. Currently I’m using Citibank Cash Back. Once the accumulated cash back reach $50, it will be credited into my credit card’s account. Based on my monthly credit card expenses, I’m constantly received $50 in every 2 months. Definitely I will not go back to bonus or rewards type credit card. Copyright © 2015 Cardviews.com. All Rights Reserved.